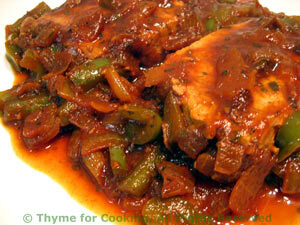 Pork Chops Creole, quick, easy gourmet recipes. A last bit of spicy, skillet pork to finish the winter cooking season. This uses the rest of the tomato sauce from Friday. 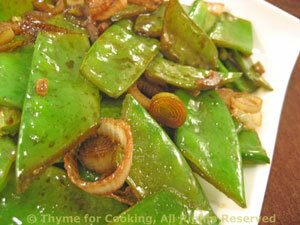 Use green or spring onions (spring onions are slightly larger with more of a bulb). Add chili powder, paprika, garlic, onions, pepper and mushrooms to pan and sauté 5 minutes. Return chops to pan. Spread tomato sauce and Worcestershire sauce over top. In small skillet heat 1 tbs olive oil. 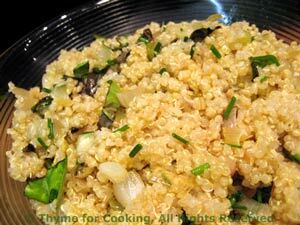 Add green onions and sauté until tender, about 5 minutes.